Reuters news agency reported on Tuesday – citing an earlier report by South Korea’s Yonhap news agency – that China would allow travel agencies in Beijing and Shandong to “partly resume” sales of group tours to South Korea. The China National Tourism Administration would allow resumption of only over-the-counter sales of package tours from Beijing and Shandong to South Korea, reported Reuters, citing Park Yong-hwan, deputy director at the Korea Tourism Organization, and unidentified executives at Chinese travel agencies. Media in South Korea had previously reported that Chinese authorities had banned or reduced Chinese tourist travel to South Korea starting in the autumn of last year – including to the casino holiday island of Jeju – in retaliation for that country’s decision to install the U.S.-supplied Terminal High Altitude Area Defense (THAAD) anti-missile system close to Chinese territory as a counter to North Korean missile tests. The Chinese authorities have neither confirmed nor denied such a tourism ban. Recently Geng Shuang, a spokesperson for China’s Ministry of Foreign Affairs, was asked about trade in the other direction, namely “an unofficial ban on Republic of Korea cultural imports”. That was a reference to some South Korean goods being allowed into China. “I have never heard of the so-called ‘cultural ban’ as you described in your question, and therefore there exists no such a thing as ‘lifting the ban’,” said Mr Geng, addressing the journalist raising the topic. On March 13 this year, South Korean and international media outlets reported more than 3,400 Chinese tourists had refused to disembark from their cruise ship after arriving at Jeju the previous Saturday. On the same day, China’s Global Times, a newspaper generally considered the most hawkish in defence of Chinese national interests, described the action of the Chinese tourists as “patriotic” and “civilised” but said any decision on whether to visit South Korea was up to the individuals concerned. There is not necessarily a correlation between the revenue performance of South Korea’s 17 foreigner-only casinos – which draw on Chinese VIP players for a significant portion of their trade – and the headline number of visitors from China. In August, September and October, mainland Chinese visitor numbers to the country fell 61.2 percent, 56.1 percent and 49.6 percent year-on-year respectively according to data from the Korea Tourism Organization. But Paradise Co Ltd, an operator of several foreigner-only casino properties in South Korea, stated in its third-quarter earnings report that casino sales had increased 5.3 percent from a year earlier and 35.4 percent sequentially. The firm said casino sales were up due to “recovery in Chinese VIP [play] and solid growth from Japanese VIP [play]”. 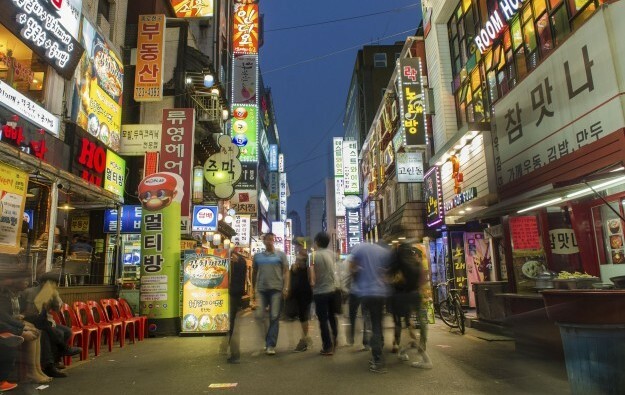 Grand Korea Leisure Co Ltd, which runs three foreigner-only casinos in South Korea under the Seven Luck brand, said in its third-quarter earnings announcement earlier this month that revenue was up 3.5 percent year-on-year. Landing International Development Ltd, a Hong Kong-listed company with links to a mainland China real estate developer, is an investor in Jeju Shinhwa World, a major new casino project on Jeju that is due to open a casino facility by the end of this year. In late September, China’s diplomatic representative on Jeju attended a launch for a theme park at Jeju Shinhwa World.